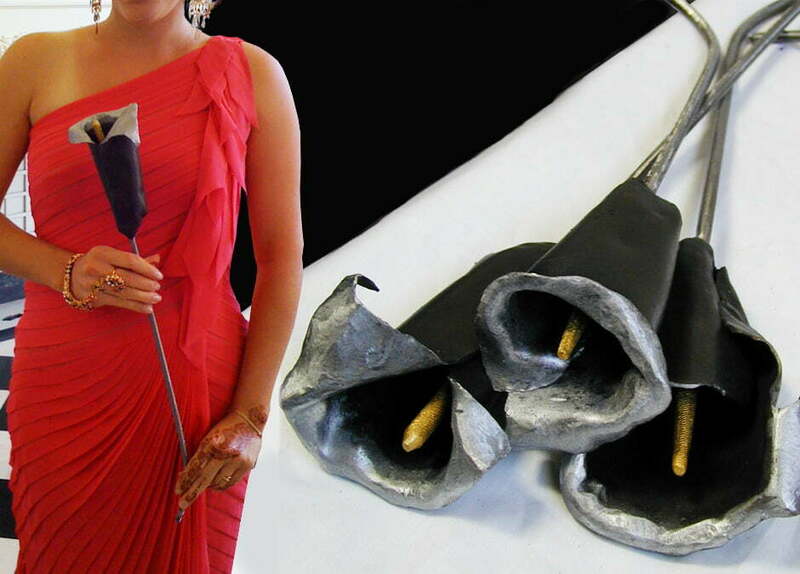 The calla lilies are hand forged and painted. Each one is unique and depicts a certain personality. The golden stamen is a re-purposed round file welded into place.